Who: Frontiers of Energy Resources is seeking enthusiastic and academically outstanding high school juniors who are interested in a future in the energy industry. Passionate High School Science Teachers are also encouraged to apply. 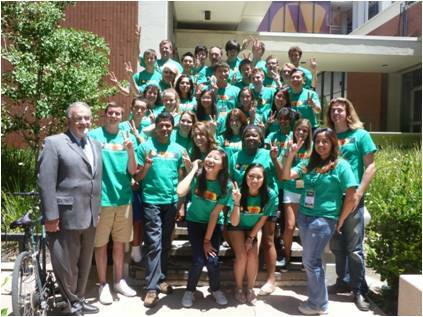 The Frontiers of Energy Resources Summer Camp offers a preparatory, interactive training program focusing on various energy resources including fossil fuels, solar, biofuels, nuclear energy, and information technologies for energy efficient operations. This unique program is designed to introduce exceptional high school students to the opportunities and career possibilities available in the global energy resources industry. Teachers will explore the current state of energy and social engineering concepts, as well as gain techniques to stimulate the critical thinkers in their classes. Students must submit a sealed teacher recommendation, upload an unofficial transcript, and compose a statement of purpose with their application. Teachers are required to compose a statement of purpose with their application.